Nice pictures. I am glad Jim is better and everyone is safely back home after the festivities. Cynthia you look great in the photos. I like you and Rory statue pics. Subrata.x. SUBY1974 wrote: Nice pictures. I am glad Jim is better and everyone is safely back home after the festivities. Cynthia you look great in the photos. I like you and Rory statue pics. Subrata.x. Thanks Suby, glad we met up in Cork. Ireland is a wonderful place, I knew it would be nice, but it far surpassed my expectations. I never would have imagined.
. Ireland is magical. The first time I went there in 2000, even though it rained in Dublin, I just loved it. I hope to explore more of the Celtic history and Irish literature. There are some good writers. Also my favourite rock guitarist is from Ireland. Ireland has everything: - warm folk;music;history;beautiful scenery ; good food etc. I do love London and the rest of the British Isles. Subrata.x They say "the veil" is the thinnist there. Kelly and I had a blast at The Rory fest. As usual the people, The bands , Ballyshannon and old friends were great to see. A special thank's to Barry O'Neil for introducing me to Ted McKenna and Gerry McAvoy. I hope I didn't embarrass him due to the fact I had too many pint's at that point. thank's Sean ( biscuits ) for letting me hammer out a couple of beats on his kit. Now I can say I've played drum's in Ireland. 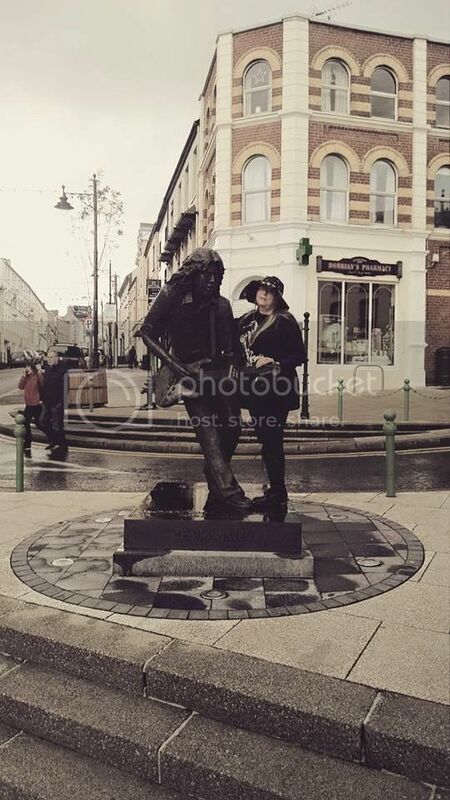 Our Trip To Rock For Rory Concert 2015.
https://m.facebook.com/photo.php?fbid=1 ... &source=43. My Cork Aer Lingus flight on the 05/06/2015. At this point I can "smell" Ireland. https://m.facebook.com/photo.php?fbid=1 ... &source=43. Arrived at Cork Travelodge. Susie and I are getting ready for Cork Rocks For Rory Festival 2015. Brute Force and Ignorance tribute band (05/07/2015) A great band at the Cyprus Venue, Cork. https://m.facebook.com/photo.php?fbid=1 ... &source=43. The moment Barry from Sinnerboy did a little solo. I felt I was hearing Rory through him. https://m.facebook.com/photo.php?fbid=1 ... &source=43. Love this shot of Barry Barnes. Yeah! https://m.facebook.com/photo.php?fbid=1 ... &source=43. Visiting Rory and his mum in Ballincollig, Ireland. https://m.facebook.com/photo.php?fbid=1 ... =bookmarks. The Jimmy Hendrix and Rory Muriel. https://m.facebook.com/photo.php?fbid=1 ... &source=43 Dave McHugh playing acoustic blues that influenced Rory's music at the Cork Library. https://m.facebook.com/photo.php?fbid=1 ... &source=43. Traditional Irish Musician. https://m.facebook.com/photo.php?fbid=1 ... =bookmarks. The Oliver Plunkett Bar. Great musical venue and a place to eat. The new Crowley Music Centre is now situated here. Rory would have loved this place. https://m.facebook.com/photo.php?fbid=1 ... &source=43. Inside Olivers. https://m.facebook.com/photo.php?fbid=1 ... &source=43. 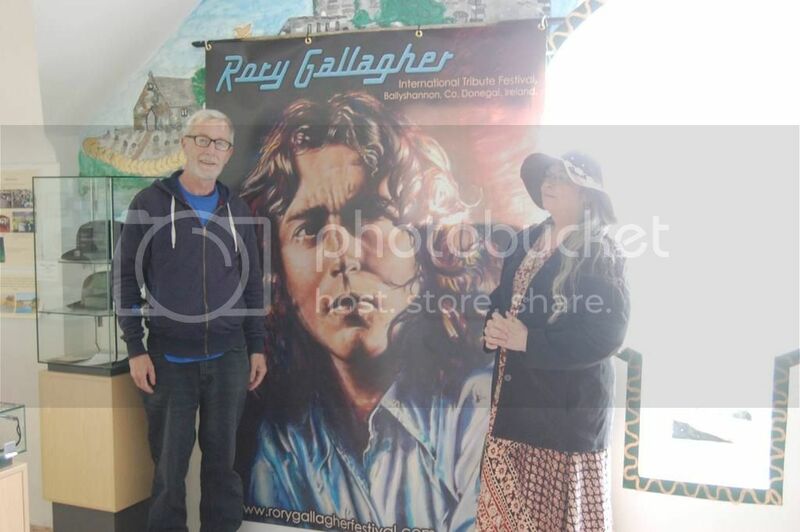 Rory Gallagher Place inside the new Crowley's Music Centre. Very nice. https://m.facebook.com/photo.php?fbid=1 ... &source=43. Rory's lovely smile. https://m.facebook.com/photo.php?fbid=1 ... &source=43. Dave McHugh Band on the 06/06/2015 at Cyprus Avenue. https://m.facebook.com/photo.php?fbid=1 ... &source=43 Rock On For Rory!!! https://m.facebook.com/photo.php?fbid=1 ... &source=43 Brian playing a solo acoustic set. https://m.facebook.com/photo.php?fbid=1 ... =bookmarks Barry playing a guitar once owned by Rory and now belongs to a Rory fan, who kindly let Barry play it for us. I touched the guitar's head. https://m.facebook.com/photo.php?fbid=1 ... &source=43 Rory's Marshall Amp. https://m.facebook.com/photo.php?fbid=1 ... &source=43 I love climbing St Patrick's Hill. You can see Rory walking here in 1972 from his rock documentary of Rory at The Savoy. https://m.facebook.com/photo.php?fbid=1 ... &source=43. View of Cork from St Patrick's Hill. https://m.facebook.com/photo.php?fbid=1 ... &source=43. Sinnerboy performing at the Macroom gig. https://m.facebook.com/photo.php?fbid=1 ... &source=43 Jack Ahern band. Its good to know that Rory's legacy is safe with the next generation. They did Rory proud! https://m.facebook.com/photo.php?fbid=1 ... &source=43 Bri on bass, Barry on guitar and Stephen on drums. Sinnerboy! https://m.facebook.com/photo.php?fbid=1 ... &source=43. Red roses to be given to Rory in Ballincollig by the Canadian couple. She is a good singer! https://m.facebook.com/photo.php?fbid=1 ... &source=43. Rory Gallagher women fans dancing to Sinnerboy and Rory's music. Even the kids joined in. https://m.facebook.com/photo.php?fbid=1 ... &source=43 A perfect Cork sunset to end our perfect Rory Gallagher trip for 2015. Is that the guy from Glasgow that you asked about my Rory gig in 78? What did he tell you? I just had another memory from that gig. It was the first time I saw the band play as a three-piece and I remember wondering what happened to his keyboard player. I don't know if that will help to put a better date on it. The photo looks great, but there is just a little too much light on your face. I still don^t know how to upload pics on here either. Hi there, yes that person is Jim M, and he is from Glasgow, and also one of the moderators at Roryweb, AKA Monty. I believe you have chatted with him over there. In order to post photos on the site I use Photobucket. There are similar photo hosting sites, and there are also ways to post directly, but I have not had much success doing it that way. Jim also granted me permission to post some shots of Ballyshannon 2016. I have access to many of this year's photos, although I was unable to attend this year. I will be posting those photos on another thread.